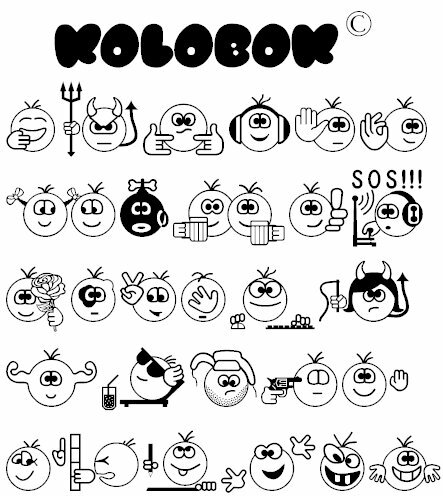 Description Font KOLOBOK_smiles based on the "HD Smiley" Sergei (StarWind) Egorov and "Kolobok Smiles" Mantsurova (Aiwan) Ivan, with the consent of the authors and is distributed under license koloboks. Render time: 0.0921 sec, 0.0111 of that for queries. DB queries: 20.